Richard Lloyd, a founding member of the iconic rock band Television, presents his new album The Countdown with an exciting, live in-store acoustic set on Wednesday, November 28, 2018, at 6 p.m. at Amoeba Music in Hollywood! 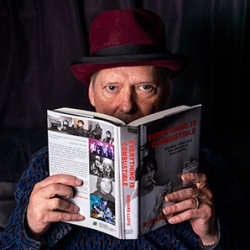 In addition, Richard will also be doing an in-store reading from his memoir Everything Is Combustible: Television, CBGB’s and Five Decades of Rock and Roll. The Memoirs of an Alchemical Guitarist. Image courtesy of Beech Hill Publishing Company. All rights reserved. Immediately following his acoustic set and reading, Richard will be doing a book and CD signing. 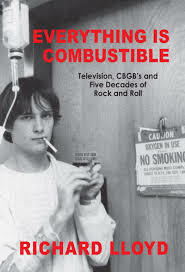 Purchase your copy of The Countdown CD + Everything Is Combustible: Television, CBGB’s and Five Decades of Rock and Roll. The Memoirs of an Alchemical Guitarist (sold as limited-edition combo-pack), at Amoeba to meet Richard and get your copy personalized/signed. 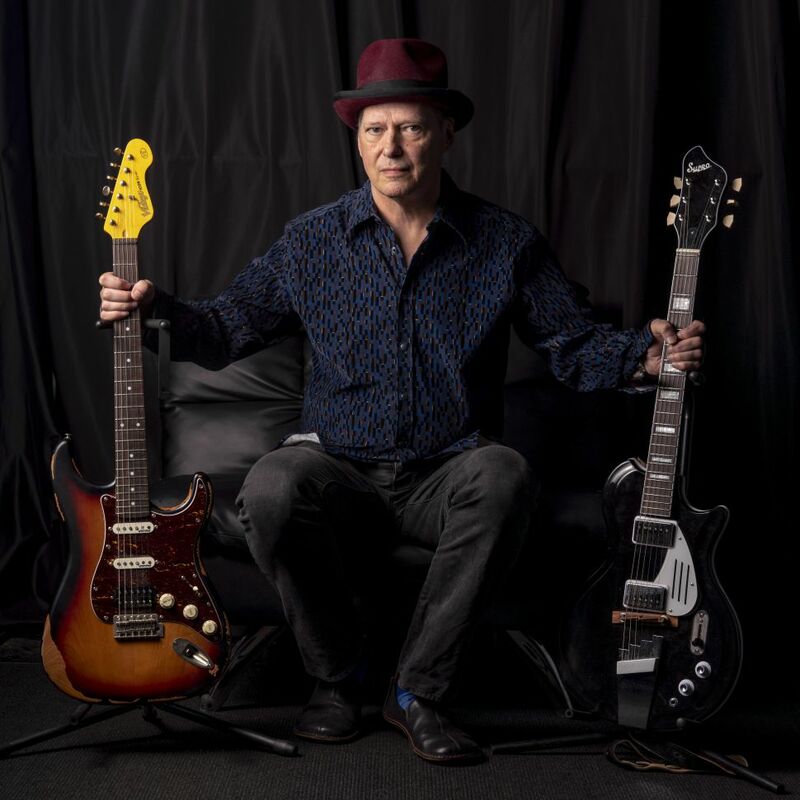 As both a founding member of the seminal band Television and a guitarist renowned for his dazzling technical abilities, Richard Lloyd has influenced countless fans and a who’s who of important musicians. Starting from the earliest days of his enduring career, artists such as Jimi Hendrix have praised his astounding prowess on guitar. After Television disbanded, Richard Lloyd’s guitar wizardry was featured on albums by artists such as John Doe and Matthew Sweet, in addition to his own critically lauded solo albums. 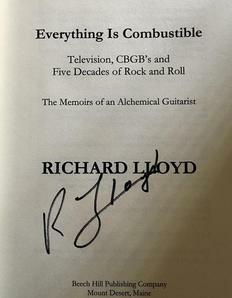 In 2017, Richard Lloyd published his autobiography, which immediately became a Top Ten best-seller on Amazon. The Los Angeles Beat sat down yesterday with this unique and influential artist, for an informal chat. It’s been awhile since Los Angeles last saw you here. What’s kept you away for so long? I relocated to Chattanooga, TN a couple of years ago from my long-time home and base in NYC. Since moving, I have been spending a lot of time painting. The release of the new album has afforded me the opportunity to return to LA. At your upcoming in-store appearance this month at Amoeba Music, you will be performing songs from your latest album ‘The Countdown’, in addition to reading selections from your recent memoir. Do you have any additional delights in store for your audience? The album and the book will be the focus on this trip. I will be playing a song or two on my acoustic guitar, which is a change for me. So I guess and hope that will be an additional delight for everyone that comes. In addition to your November 28th in-store appearance at Amoeba Music, do you have any concert dates set for the Los Angeles area? I have an upcoming acoustic concert at The Bootleg Theater on Tuesday, November 27th at 8:30 pm. The show is for age 21 and over, general admission, and the tickets are $10-$12. Your latest album successfully combines the raw energy of your live performances with the benefit of technical refinements and additions available behind-the-board. Did this prove to be a daunting task in the studio, or was it relatively easy for you? I had a solid team on the record, who knew what I do and brought ideas that helped shape the album and sound. I admire your inclusion of mistakes and rough edges in your recordings. It really helps to infuse your albums with a spontaneous, exciting sound seldom heard in most music made today. The Countdown was just released (November 2nd) on both CD and digital, via Plowboy Records. Is there a set date for its release on vinyl? The Countdown is set for its vinyl release on Record Day 2019. You’re renowned for your technical wizardry on guitar. I’m sure our readers want to know the make and model of guitars employed during the recording of your latest album. I played my Supro guitar and used an assortment of Supro amps. I love Science. People and things observed and preserved. My music is my observation. 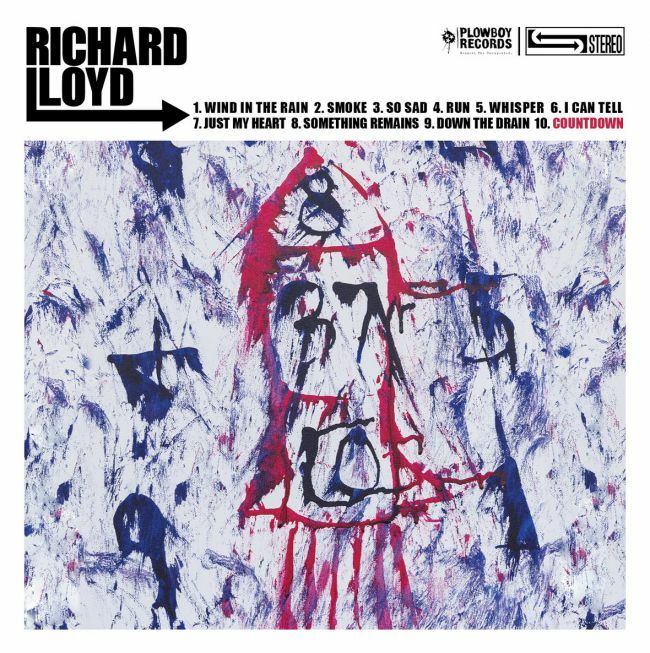 Special Note: Richard Lloyd will be signing copies of his book and CD purchased at Amoeba only. No vintage/outside items or memorabilia will be signed by the artist. Quote by Richard Lloyd: Richard Beinstock. This entry was posted in Books, Interviews, Music, Upcoming Events and tagged amoeba music, Bootleg Theatre, Punk music, Richard Lloyd, television. Bookmark the permalink.